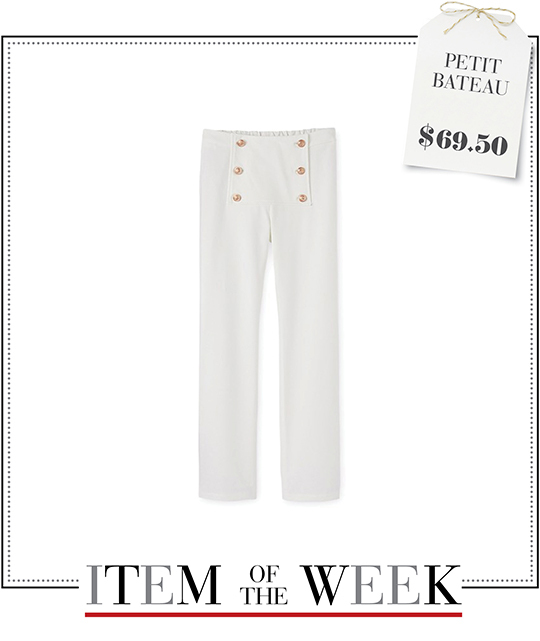 A pair of white nautical pants from Petit Bateau. See how you can coordinate your wardrobe in 5 different ways with 1 item, under $100. Monday Office-friendly: Hot outside, cold inside? Here's how to dress for work when it's 90+ degrees on your commute but feels like an igloo in the office. 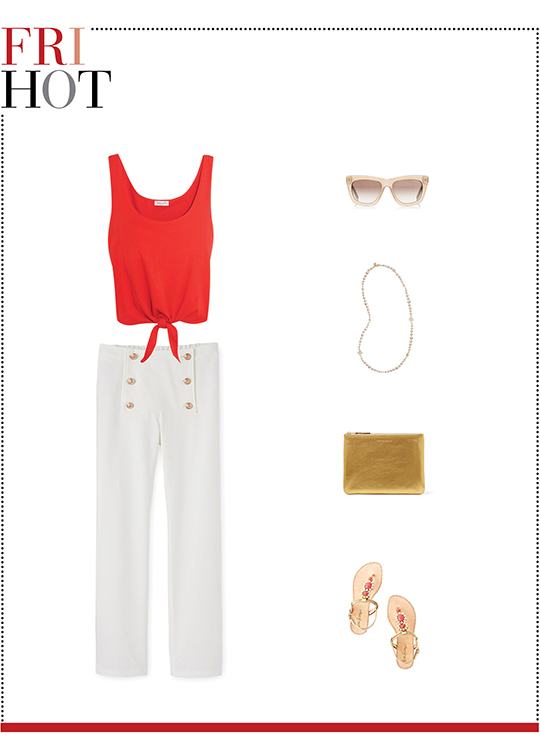 Team this week's nautical pants with a silk cami top and throw on a crepe blazer. Adorn this outfit with simple and comfortable accessories such as a long pearl necklace, a slouchy hobo, and a pair of ankle-strap flats. Flawlessly finish your look with shimmery powder and light pink nail polish. 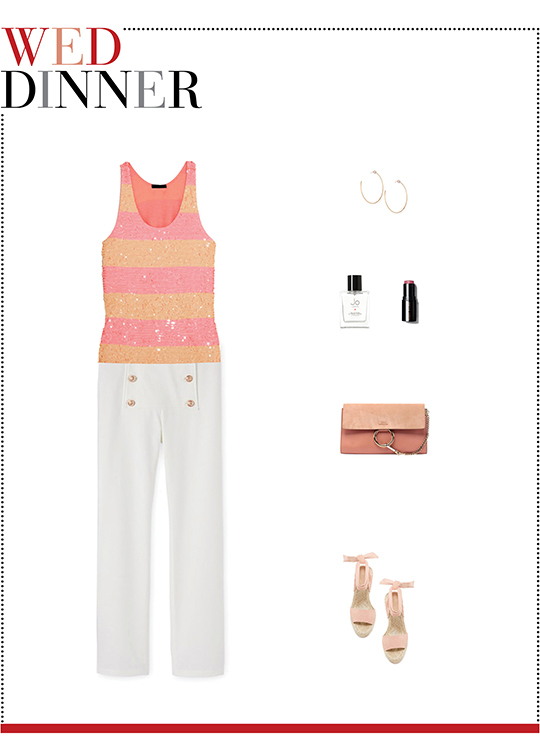 Tuesday Casual: Embrace the refreshing seaside with this relaxed summer outfit. Use a ruffle-sleeve striped tee, a pair of square frame sunglasses, a delicate gold bracelet, pearl stud earrings, a black bucket bag, and denim espadrille flats to update your warm weather look French Riviera style. Wednesday Dinner Plan: Freshen up your dinner wardrobe with splashes of color and shine. 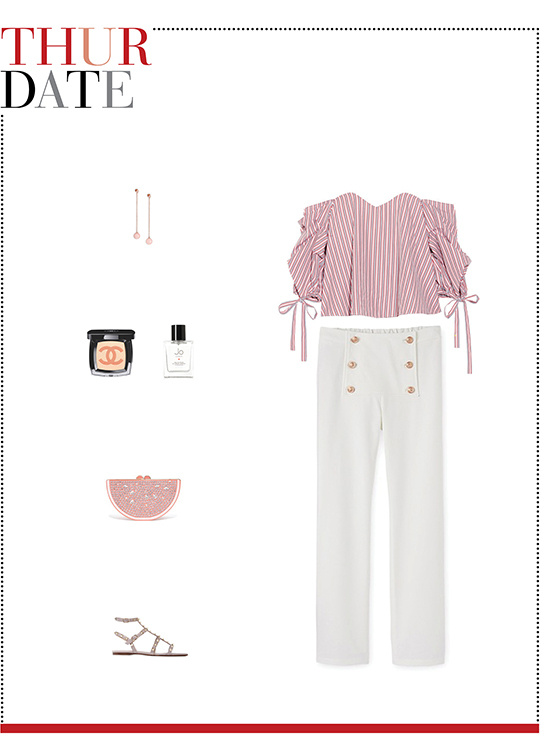 Pair Petit Bateau's white nautical pants with a sequined peach and pink striped top and slide your feet into a pair of espadrille wedge sandals. You can then add pearl stud hoop earrings and grab an orange suede clutch to up your accessories game. Finish everything off with rosy fragrance and cheek color tint. Thursday Date Night: A flirty off-the-shoulder top is your shortcut to instant polish. Wear a red and blue striped version with this week's white trousers to create a feminine, laid-back date night ensemble. 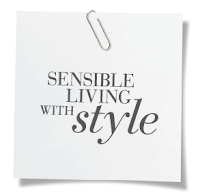 As for accessories, use high-impact embellishments. 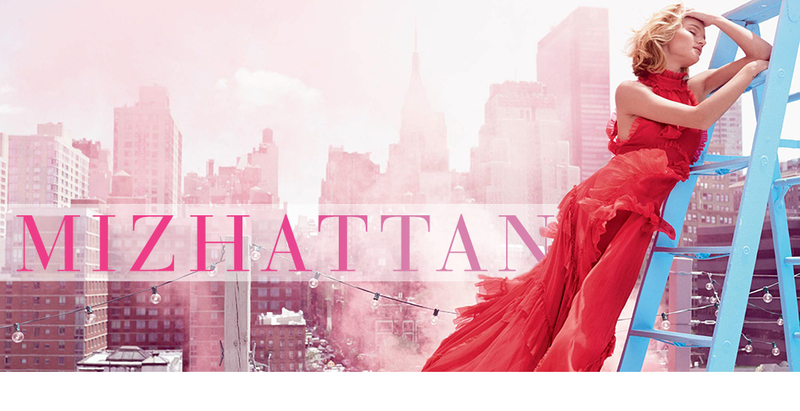 You'll need a pair of rose quartz drop earrings, a glittery grapefruit clutch, and studded leather sandals. Also, reuse Monday's shimmery powder and Wednesday's fragrance to complete today's attire. 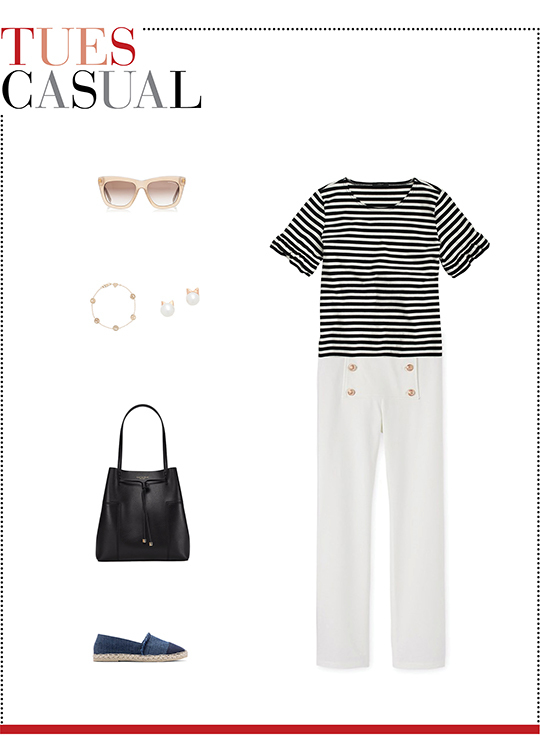 Friday Hot: Your hot summer style formula has never been easier thanks to Petit Bateau's sailor pants. Style this classic nautical bottom with a red tie-front tank top. Accessorize with Monday's pearl necklace, Tuesday's square sunglasses, a gold leather pouch, and embellished flat sandals.